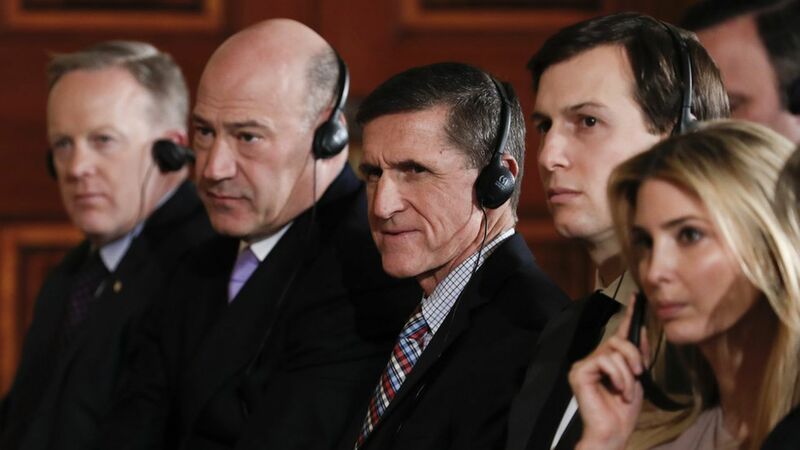 Ousted National Security Advisor Mike Flynn and Jared Kushner, Trump's son-in-law and senior adviser, met with the Russian Ambassador to the U.S. in December at Trump Tower, the White House has told the NYT. The New Yorker previously reported that Kushner had met Kislyak. Why it matters: The FBI is investigating ties between Trump's associates and Russia, and the list of those with confirmed contacts is growing. Kushner is one step closer to Trump than either Flynn or Attorney General Jeff Sessions. Sessions recused himself from a Trump-Russian investigation minutes ago after failing to disclose meetings last year with Kislyak. Flynn's conversations with Kislyak led to his resignation. The White House on the meeting: "They generally discussed the relationship and it made sense to establish a line of communication. Jared has had meetings with many other foreign countries and representatives."